The Medical Centre Pharmacy is conveniently located on-site offering an extensive line of clinical products and services. As a member of the Professional Compounding Centres of America, the Pharmacy provides a specialized compounding service. The Pharmacy also provides an extensive line of specialized urological, impotence, respiratory, orthotic, ostomy, wound management, positioning, continence, and pain control devices and equipment. The medical centre pharmacy is proud to offer specialized prescription compounding. We have highly trained staff and are members of the Professional Compounding Centers of America (PCCA) and association of compounding pharmacists of Canada (ACPC). We use special equipment to make medications tailored to each individual from suppositories to suspensions and creams to capsules. We compound medications to help restore hormone balance and treat erectile dysfunction, treat neuropathic pain and arthritis, and pediatrics just to name a few. Compounds are only made when prescribed from a physician or qualified practitioner. The medical centre pharmacy provides free delivery on all the products we sell within the city of Peterborough. 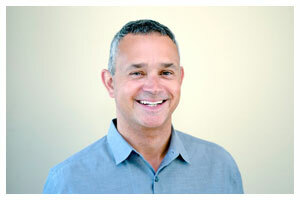 We pride ourselves on providing fast, friendly service with professional delivery staff. 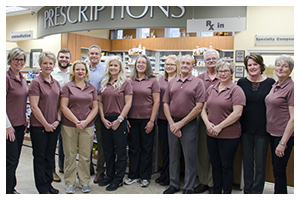 The Medical Centre Pharmacy's team of Pharmacists, Technicians, and Customer Service staff are friendly, well trained and professional. We are here to serve all of your pharmacy needs! Partnered with VAX2GO our Nurse has over 20 years of travel clinic experience and will provide complete, individual evaluations of any vaccine or medication required for your travel experience. The Medical Centre Pharmacy is owned and operated by Medical Centre Pharmacy (Peterborough) Limited. The Designated Manager is Stephen Lovick. The Medical Centre Pharmacy will be found to your left upon entering the main entrance of The Medical Centre.